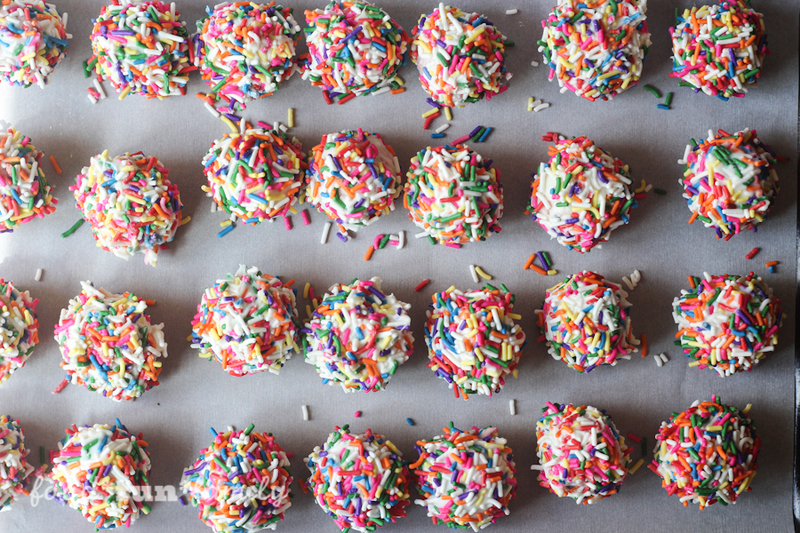 One cake mix produces about 4 dozen cake balls (but the yield can vary depending on how big you make your balls). Bake cake according to directions on box. Let cool completely. When cake is cool, break it up/crumble into a large mixing bowl. 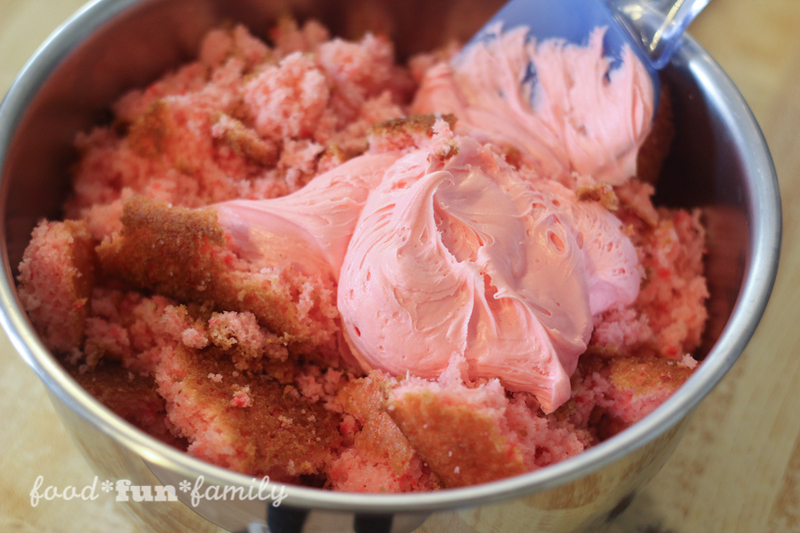 Mix in about ¾ of the container of strawberry frosting. Start by adding about half or two-thirds of the frosting, and then add a little more until you've got a nice, firm "dough" that holds together when made into a ball. Note: I find that it works best to "knead" the cake and frosting mixture with my hands until it feels nice and smooth. Using a cookie scoop, make balls, rolling each ball gently in the palm of your hands until smooth. 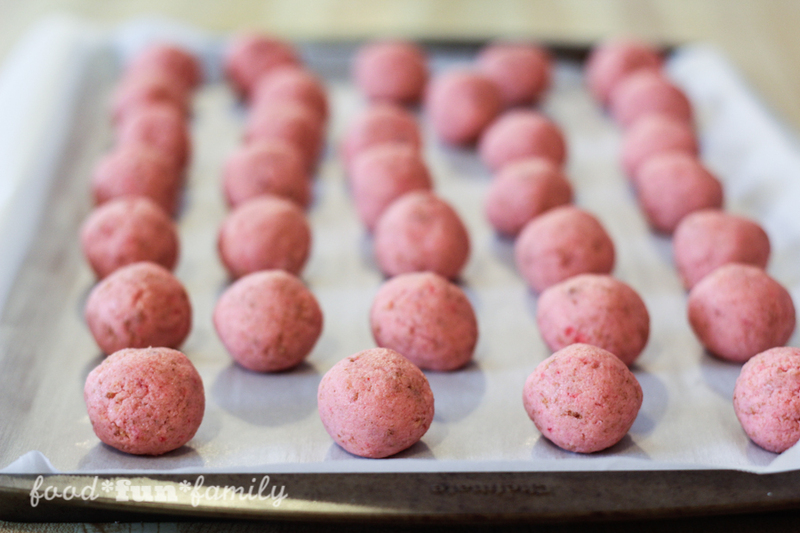 Place balls on a large cookie sheet lined with waxed paper or parchment paper. 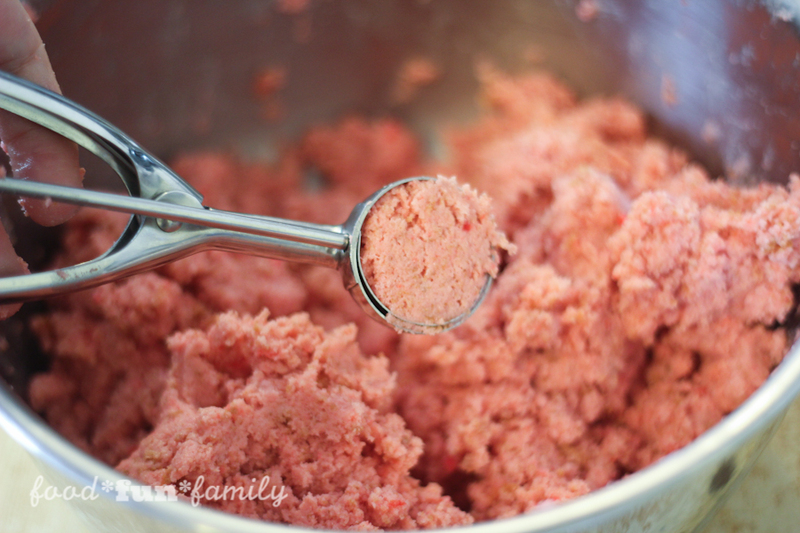 Place finished balls in the freezer for at least 20 minutes. Meanwhile, melt the candy melts according to package directions. 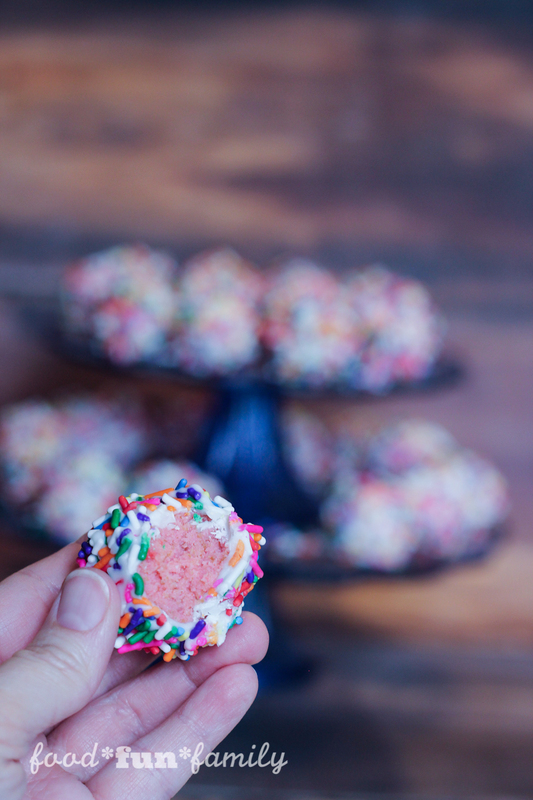 Add sprinkles to a small bowl and set next to your work area. Remove from freezer when you're ready to dip. 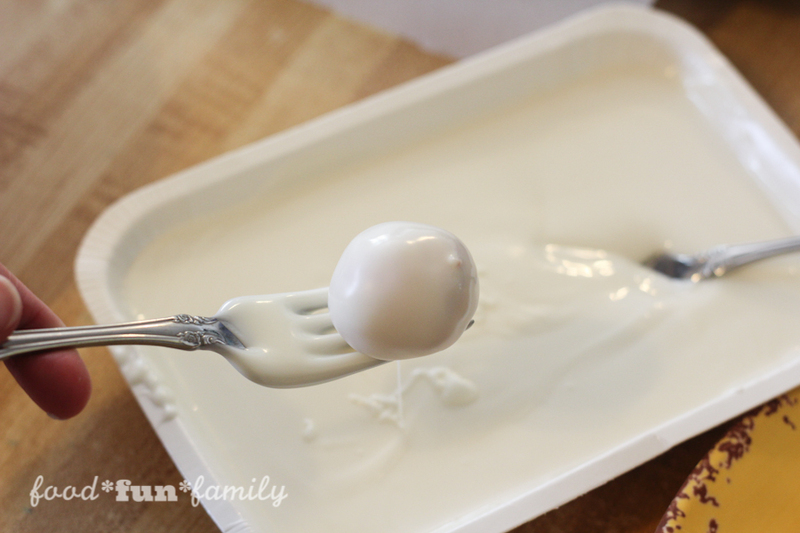 Dip each ball, one at a time, into the candy melts, rolling to cover all sides. Let excess candy drip off. 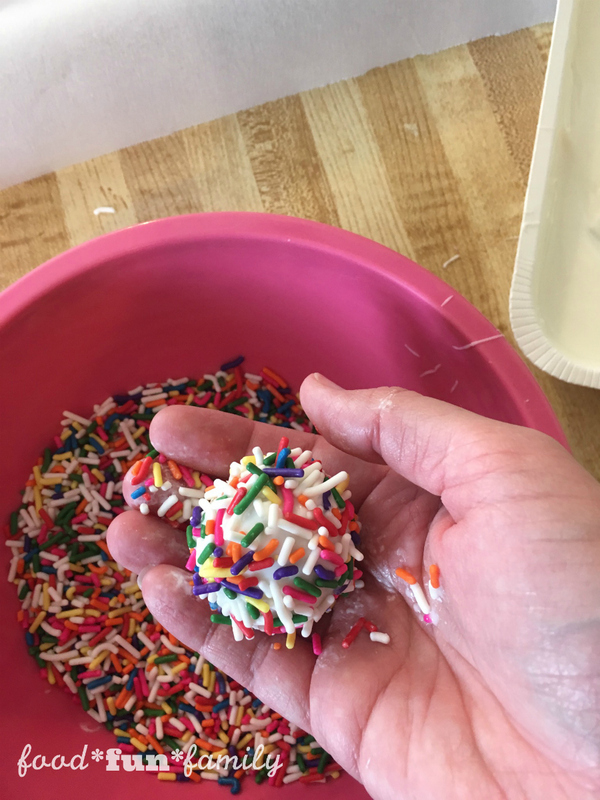 Place coated ball immediately into a bowl of sprinkles and roll around to coat. Place finished cake balls on another lined cookie sheet. I use a cookie scoop like THIS to make uniform and well-rounded balls. This makes the process so much quicker, too! Starf! The day Cassie has been dreading since she first arrived at Starling Academy is here. She has been chosen to make the journey to Wishworld for the next Wish Mission. Lady Stella, the headmistress, assures her she’s going to do a starmendous job. Cassie is so sensitive and perceptive she’ll be a natural! But her mission is even harder than she feared. Everything just seems all wrong. And there’s no help in sight. Could Cassie be the first Star Darling who simply can’t make her Wisher’s wish come true? Mysterious things continue to happen on Starland every day as the girls wait to see who will go on the next Wish Mission. Piper has a dream that she will be the one and indeed she is. Piper has a lot to learn when she finds herself working at a diner. Confident that she’s identified her Wisher’s wish, Piper enjoys her time on Wishworld. But as her Countdown Clock ticks away can she dismiss her earlier assumptions and discover the true wish? Life on Starland is anything but normal these days. The Star Darlings continue to experience mysterious phenomena while trying to focus on their studies and maintain their cover. Stat athlete Astra is chosen for the next Wish Mission. Her overconfident nature leads her to quick conclusions about her Wisher’s true wish. Can Astra put aside her own interests and assumptions and help Emma before time runs out? As more and more disturbing things happen on Starland, the Star Darlings try to unravel clues to what’s going on. One theory is that Lady Stella herself is behind all the trouble. Tessa is selected to travel to Wishworld where she finds herself in a spot that’s perfect for her—an animal shelter. When a terrible storm hits, Tessa and her Wisher, Lizzie, must work together to take care of the helpless animals in the shelter, while Tessa tries to discover Lizzie-s real wish and help grant it before time runs out. Enter to WIN a Star Darlings Prize Pack! PLUS a set of five (5) Star Darlings 10.5” dolls! Note: Giveaway open to US addresses only. Prizing and samples provided by Disney Press. This giveaway will end on 5/23 at 11:59 pm ET, after which a winner will be chosen at random and notified via email. Please note that the winner must respond within 48 hours or a new winner may need to be chosen. 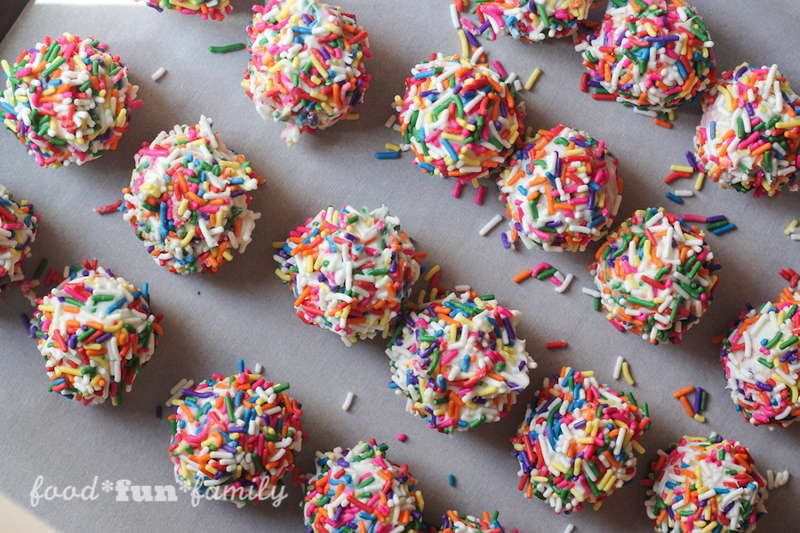 These cake balls look so pretty and these could be a dessert for the 4th of July! I would love to make these with my daughter. The recipe looks easy enough. We are planning to make your cake balls this weekend. My six year old, her bestie and me. Kind of excited! I think the grandbebe girls would like Piper’s Perfect Dream the best, because they’ll try to figure out what’s going to happen :) Thanks for the chance to win! I think my daughter would like Sage the best as purple is her favorite color. They are all really cute but I think Sage is our favorite. Those cake balls looks so delicious, I’m sure the strawberry was a perfect substitute for zoomberries! Thanks for sharing with us at Merry Monday! 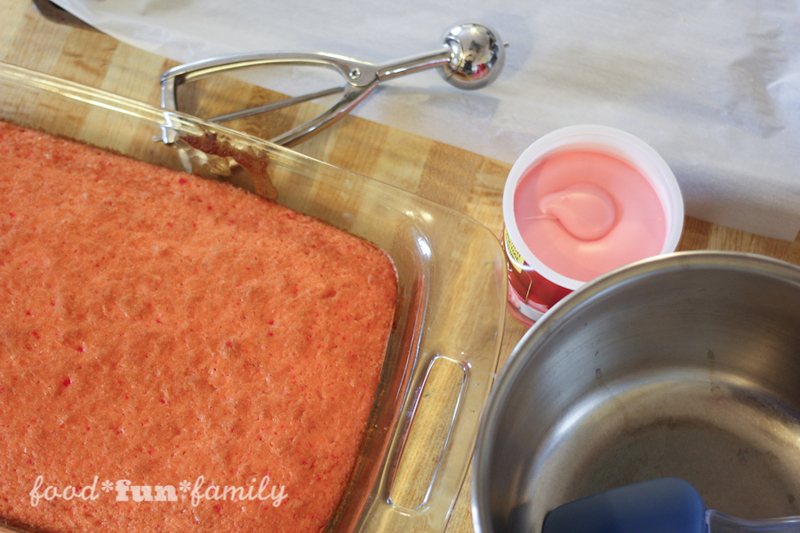 Such a cute and fun recipe! I think my daughter would like Piper. We love Cassie and Bitty the best. They almost never break the rules! I think I would like Sage the best! I think my granddaughter would be drawn to Sage – she loves all things purple! I like Scarlet! She is independent and not so emotional, more logical! My niece would love Piper, I think she could relate relate to her. THERE IS JUST SOMETHING ABOUT SPRINKLES that TURNS MY TASTE BUDS ONNNN!!! These look like a lot of fun! Thanks for sharing at the Monday Funday Party!! I like Piper because she has to learn things aren’t always what she assumes. I like Cassie the most. I think my Granddaughter would love Piper or Tessa. Sage because she always tries to look on the bright side of things and is lighthearted and warm! Piper would be the one who caught our eye. I think my oldest granddaughter would like Vega the best. My daughter would like Piper the most! Tessa’s Lost and Found – my daughter is a huge animal lover and since this book takes place at an animal shelter I think she would relate to it very well. I like Cassie so the book, Cassie Comes Through, looks like it would be a good place to start! I think my grand daughter would like Sage best. Love the recipe! I think my daughter would like the Sage doll. I think my daughter would like the Piper’s Perfect Dream book.